Its delicious and they are great healthy snacks for the kids. 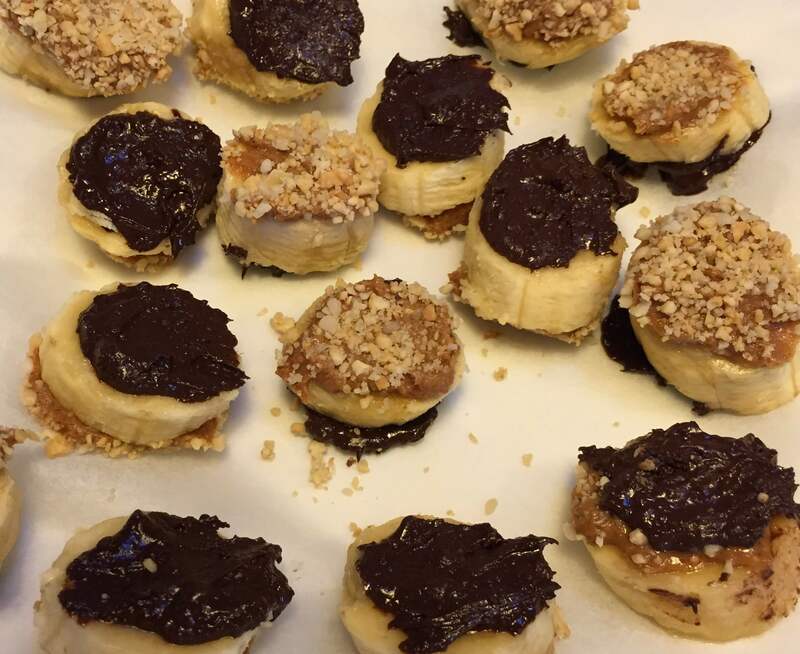 Add some peanut butter to one side of your banana slice, dip in nuts and dip in melted chocolate and place on a baking sheet. My chocolate did not melt properly so I put a little on the other side of the banana slice. When yo done them all place them in the freezer. Wait until they are frozen and ATTACK, YUM YUM!